Every center is going to have a different set up, and some may be large others much smaller, but one thing ever center needs is organization. Here are my top 5 tips that should be helpful no matter the size of your group! Have a master binder for staff with page protectors, and print out a daily/weekly/monthly calendar outlining all activities including but not limited to (daily schedules, weekly activity/lesson plans, snack calendars, and clubs.) I will have FREE printables for each of these available soon. Having a master plan book that everyone can access will ensure everyone is on the same page. Evaluate your space and organize according to noise level. For instance, a book corner, art area, and Homework zone can be in close proximity while a playhouse, board game, dramatic play, toys, or game zone should be grouped further away. 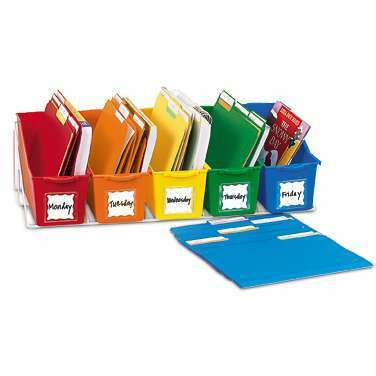 Also, color coding activities with stickers or bins can help children to put items away more easily. Provide a pleasant parent corner, preferably near more quiet activities for parents to grab newsletters, paperwork, and sign their child in and out. Designate a space for personal belongings and artwork. These items can easily clutter up your space or become a tripping hazard. Defining zones for them will be helpful in creating order in your environment. Have clearly defined centers with matching bulletin boards. You can keep it simple – perhaps an art board, Activities board, and rules/expectations. Have fun creating your space! If you ever wish to, send me a photo! I’d love to see your spaces! Hello everyone, Marie here! The following post is written by Guest Blogger Daniela from CreditDonkey on how to promote your after school club. Thinking of starting an after school club or already have and want to publicize it? Check out Daniela’s ideas below. After school clubs are a lot like after school programs, but tend to be more short-term, often around 4 to 6 weeks, and are usually centered around fun themes. 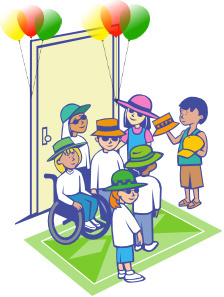 They help kids make friends, enjoy themselves, and stay out of trouble. According to Safe and Smart: Making After-School Hours Work for Kids, a publication of the U.S. Department of Education, kids involved in supervised after school activities benefit in many ways. Supervised after school groups help reduce the juvenile crime rate, decrease the number of kids who smoke or take part in other risky behaviors, and cut back on the number of hours kids spend watching TV. The Department of Education has also found that after school activities boost children’s self-confidence, grades, and social skills.